ABC has made lives easy for women fighting breast cancer and undergoing surgeries. Kit contents include one ABC Leisure Bra in white (Style 110), one Triangle Puff Form (Style 910) and two Velcro attachable drain pouches (Style 922). Prior to breast surgery, the Post-Surgical Kit is a great way to introduce your patient to the essential products needed to make a smooth, comfortable transition post-surgery. Additional contents include an ABC beautiful pink shopping bag, a set of informational brochures and pink tissue paper. Kits are prepackaged, but must be assembled. Take To The Hospital With You! 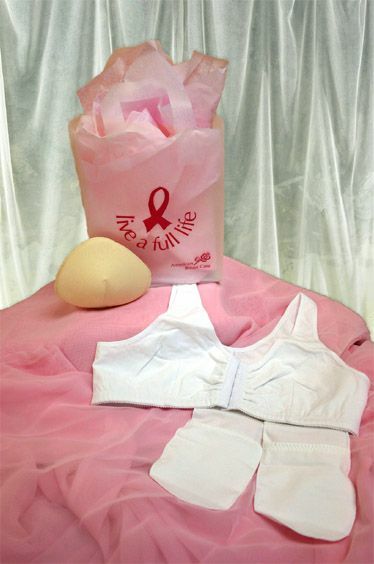 Get the lowest price on ABC 914 American Breast Care Post Surgical Kit - now with E/F cups. We are dedicated to always offering the best service and value to our customers. We will match the price, at the time of purchase or until 7 days after your purchase, on a Price Match Guarantee product if you find the same item ( ABC 914) at a lower price at a Designated Major Online Retailer or at a local retail competitor's store in the US.